(NaturalNews) The U.S. Congress is on the verge of completely gutting the forced redistribution of wealth scheme known as Obamacare, and the Department of Health and Human Services (HHS) is now telling individual states that cleaning up the mess from the debacle it created will be their responsibility, not the federal government's. The costs associated with setting up the so-called "Affordable Care Act" through state exchanges has proven unsustainably impossible, prompting some states, most recently including Hawaii, to abandon it altogether. At the same time, the Supreme Court is expected to decide in the next few days whether or not subsidies issued through the state exchanges are even constitutional or legal. As it currently stands, Obamacare appears to be headed to the chopping block because it just isn't working. 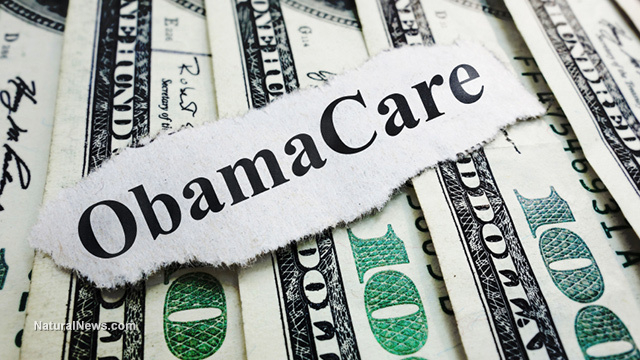 Hawaii, which abandoned its own exchange after running up enormous deficits trying to implement the program, recently announced that based on the minimal number of enrollees, taxpayers spent upwards of $25,000 per individual trying to gain Obamacare coverage. So much for affordable coverage, or a working system for that matter. After spending more than $200 million in accordance with the mandates, Hawaii saw zero enrollees during the recent "special" enrollment period. Vermont, Rhode Island and many other states saw similar near-zero enrollment numbers as well. "Whatever the Supreme Court decides this month, I think the lesson is clear. Obamacare is busted. It just doesn't work. And no quick fix can change this fact," stated House Ways and Means Committee Chairman Paul Ryan (R-Wisc.) to the media recently, adding that there's no "quick fix" for the broken system. Calls are swelling within the halls of Congress to just gut Obamacare completely and start over -- "repeal and replace" being the slogan of choice. And while some might see this as a Republican-led political attack, it's undeniable that the healthcare law has failed and needs to go away before causing even more harm. A recent poll conducted by The Washington Post and ABC News found that more than half of the country now opposes Obamacare, its highest disapproval rating ever. Only 39% of respondents, it turns out, expressed support for the illegal tax, while estimates show that taxpayers will have to fork over about $2.6 trillion in the first 10 years just to keep the program afloat. The problem with this is that there's only so much money available to fund this grand experiment in crony socialism. Sure, people need health coverage. But when the entire system is redesigned to siphon money from the earners in order to funnel it to the non-earners, there eventually reaches a point when there's no more money left! "Think of a pumping system fueled by water, that pumps water out of a bucket and then redistributes half of it back into the bucket," wrote Daniel Greenfield for Canada Free Press. "The system will sooner or later run out of water. Or in Margaret Thatcher's words, 'The problem with socialism is that eventually you run out of other people's money.'"